Allengue, Ludivine, Simon Jones, Baz Kershaw and Angela Piccini, eds. Practice-as-Research In Performance and Screen. Houndmills, Basingstoke, Hampshire: Palgrave, 2009. Barrett, Estelle and Barbara Bolt, eds. Practice as Research: Approaches to Creative Arts Inquiry. London; New York: I.B. Tauris & Co Ltd, 2007. Barton, Bruce, Melanie Dreyer-Lude and Anna Birch. Mediating Practice(s): Performance as Research and/in/through Mediation. Experiments and Intensities Series. Winchester, UK: University of Winchester Press. 2013. Borgdorff, Henck. The Conflict of the Faculties: Perspectives on Artistic Research and Academia. Leiden: Leiden University Press. 2012. Cahnmann-Taylor, Melisa and Richard Siegesmund, eds. Arts-Based Research in Education: Foundations for Practice. New York: Routledge, 2008. Cecchetto, David, Cuthbert, Nancy, Lassonde, Julie, and Dylan Robinson, eds. Collision: Interarts Practice and Research. Cambridge Scholars Publishing, 2008. Freeman, John. Blood, Sweat & Theory: Research Through Practice in Performance. Oxfordshire: Libri Pub., 2010. Friberg, Carsten and Rose Parekh-Gaihede with Bruce Barton, eds. 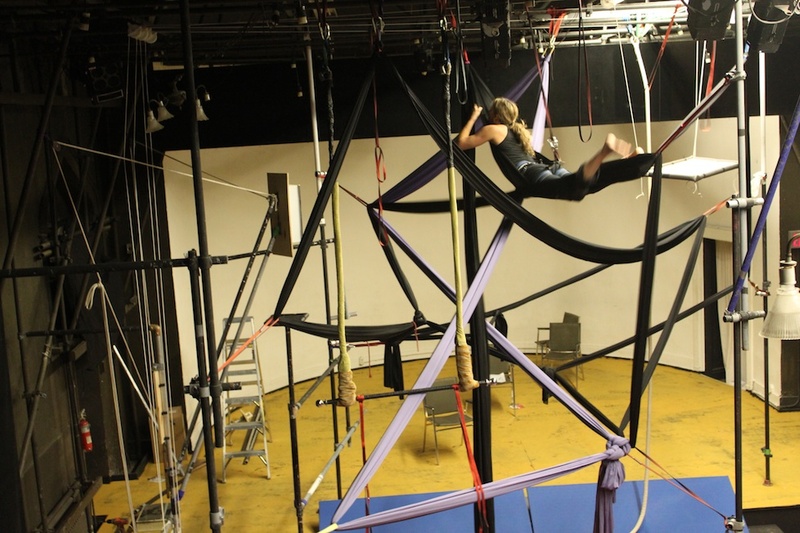 At the Intersection Between Art and Research: Practice-Based Research in the Performing Arts. Malmö, Sweden: NSU P, 2010. Leavy, Patricia. Method Meets Art: Arts Based Research Practice (2nd Edition). New York: The Guilford Press, 2015. McCullough, Christopher. Theatre Praxis: Teaching Drama Through Practice. London: MacMillan Press, 1998. Nelson, Robin. Performance as Research in the Arts. Houndmills, Basingstoke, Hampshire: Palgrave, 2013. Riley, Shannon Rose and Lynette Hunter, eds. Mapping Landscapes for Performance as Research: Scholarly Acts and Creative Cartographies. Houndmills, Basingstoke, Hampshire: Palgrave, 2009. Smith, Hazel and Roger T. Dean. Practice-led Research, Research-led Practice in the Creative Arts. Practice as Research in Performance: 2001-2006. website. Centre for Research into Creation in the Performing Arts. Middlesex University, UK. website. Theatre Topics. 12.1 (March 2002). Theatre Topics. 23.2 (September 2013). Canadian Journal of Practice-Based Research in Theatre. University of Winnipeg. web. Hansen, Pil, and Bruce Barton. “Research-Based Practice: Situating Vertical City between Artistic Development and Applied Cognitive Science,” TDR: The Drama Review 53.4 (2009): 120-36. Haseman, Brad. “A Manifesto for Performative Research.” Media International Australia incorporating Culture and Policy. Theme issue: “Practice-led Research.” 118 (2006): 98-106. Melrose, Susan. “A Cautionary Note or Two, Amid the Pleasures and Pains of Participation in Performance-making as Research.” http://www.sfmelrose.org.uk/pleasure-pain/. 2011. Thomson, Peter. “Notes and Queries: Practice as Research.” Studies in Theatre and Performance 22.3 (2002):159-80. Trimingham, Melissa. “A Methodology for Practice as Research.” Studies in Theatre and Performance 22.1 (2002): 54-60. Welton, Martin. “Against Inclusivity: A Happy Heresy about Theory and Practice.” New Theatre Quarterly 19.4 (2003): 347-351.